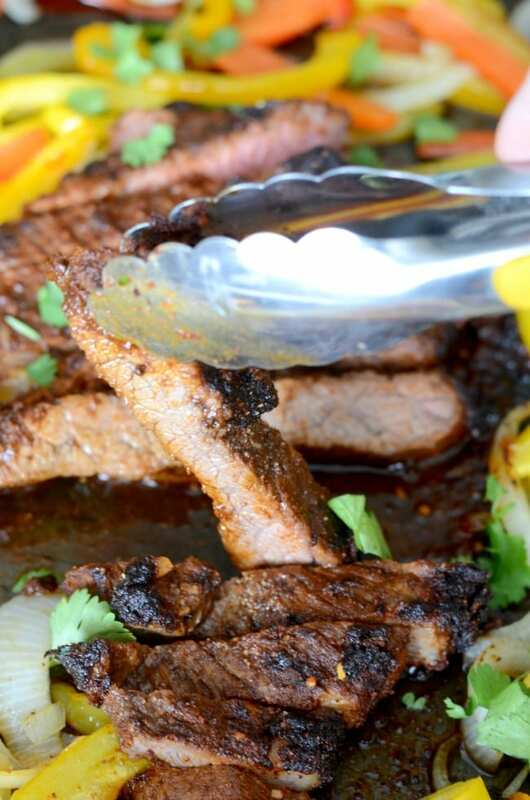 My family loves these sheet pan steak fajitas. 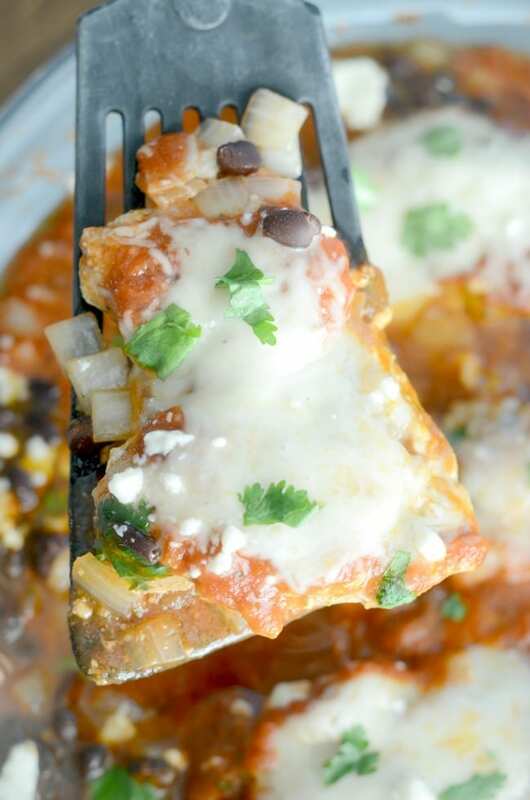 They are perfect for any busy weeknight and our favorite quick and easy dinner recipe. Growing up and living in South Texas most of my life is the absolute best. Not only was I surrounded by beautiful beaches and sprawling farm land, but I get to eat the best food. I want to say the best food in the United States but that may be a little dramatic. I have had my fair share of delicious BBQ, sweet tea and what we lovingly call “Tex-Mex”. It’s a combo of Texas and Mexican cuisine and next to pasta, is my favorite. Tacos, enchiladas, tortas, quesadillas. I love it all! 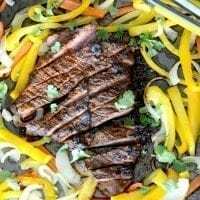 These easy oven steak fajitas are my homemade version of a South Texas classic. 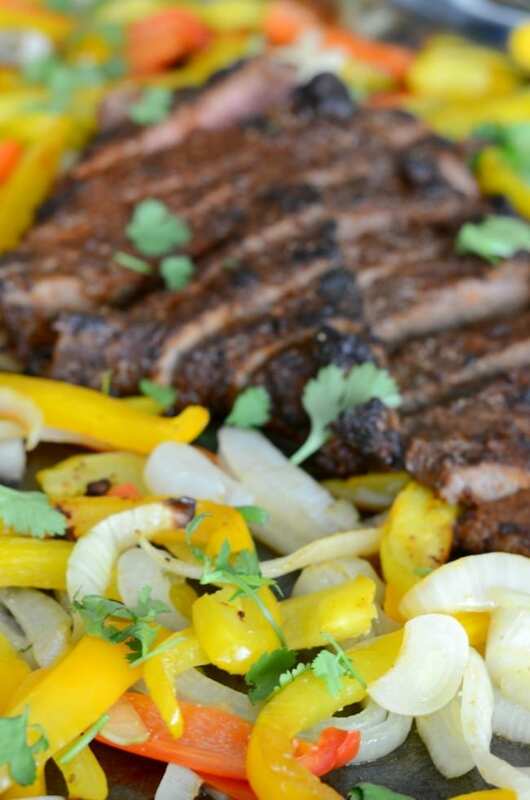 I have to admit, as much as I love our easy chicken fajitas, steak is my absolute favorite. If you give me the choice between chicken and steak, I will choose steak any day of the week. I’m just a steak girl, I guess. 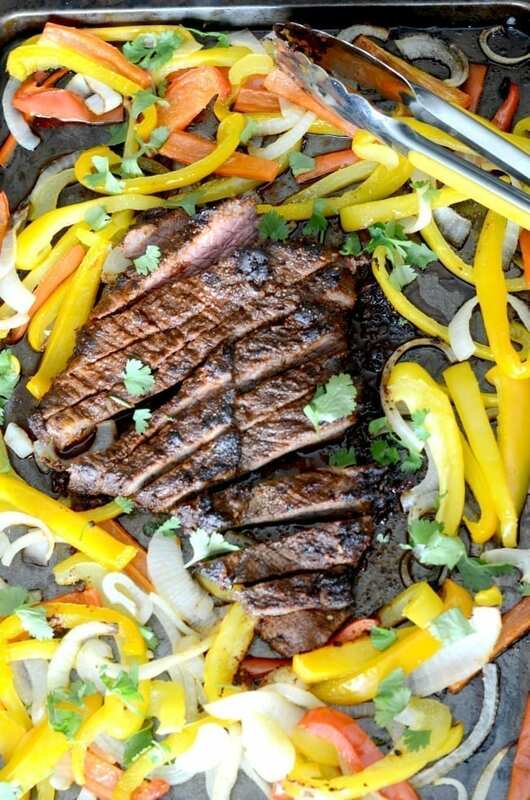 These easy steak fajitas are weeknight dinner perfection. Not saying you can’t have them on the weekends, they just come together so fast that they are great for busy week days. Everything is tossed on a sheet pan and roasted in the oven. They are also great to make for a crowd or event, you just may need to double the recipe below if you plan on feeding a bunch of people. Or just double it anyways because these fajitas make great leftovers. 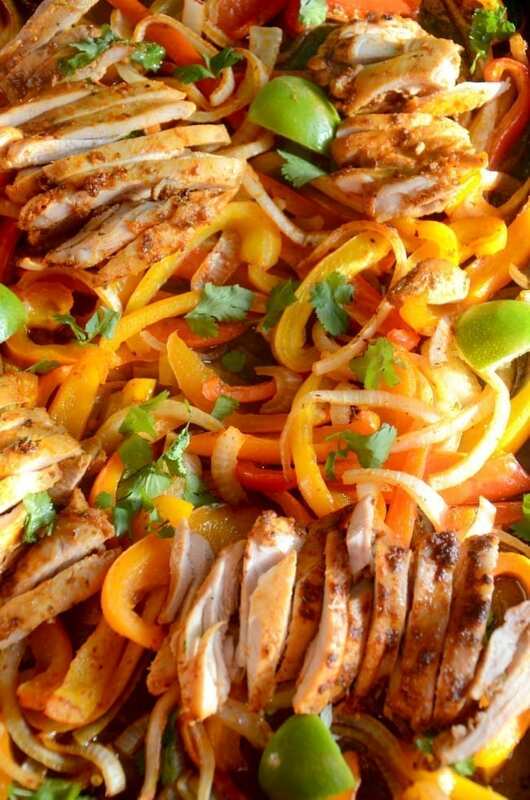 The fajitas themselves are also gluten free and Whole30 compliant. To keep them totally gluten free use corn tortillas. 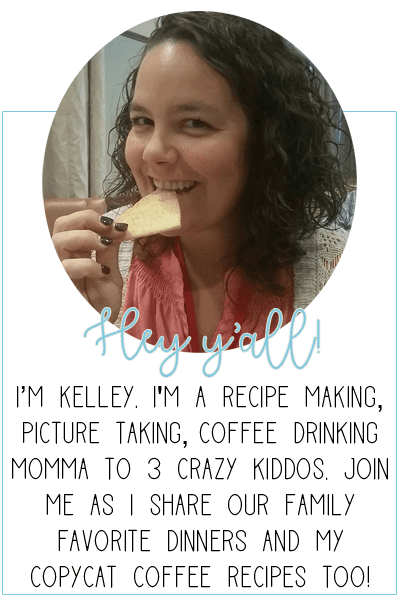 If you are doing Whole30, eat them without a tortilla and skip the sour cream or cheese. Also, the homemade fajita seasoning is compliant but be careful of a store bought mix. One of my favorite things about this quick and easy dinner recipe is that it’s full of healthy ingredients. All the ingredients are gluten free, paleo, keto and Whole30 compliant. Plus, you should be able to find everything at your local grocery store. 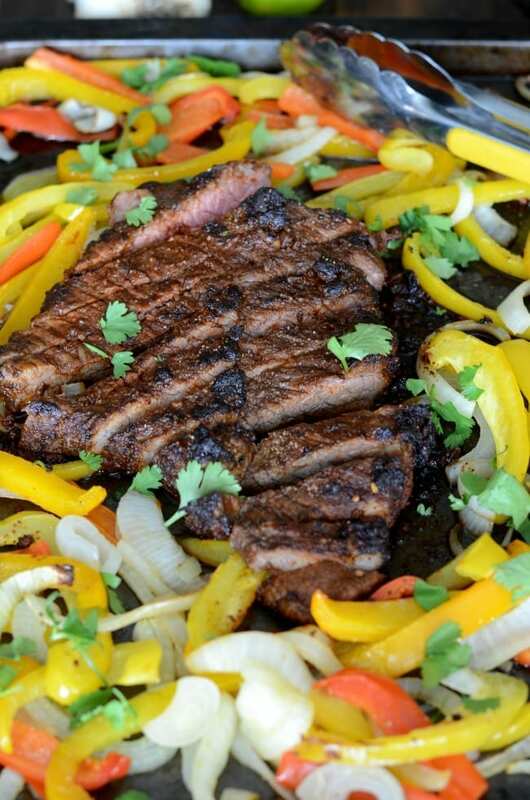 The most common cuts of steak for fajitas are flank or skirt steak. I normally buy whichever is on sale since both cuts of meat are so similar. Choose whichever cut of steak you prefer for this recipe. I prefer using homemade fajita seasoning because I know exactly what is in it. Store bought is perfectly fine for this recipe just be sure to read the ingredients. Some store bought seasonings may not be compliant if you are gluten free, keto or doing Whole30. When I make these easy steak fajitas, I buy whatever bell peppers are on sale. Sometimes that’s the red or orange ones but most of the time the green bell peppers are cheapest. Use whatever bell peppers you prefer – they all end up the same after being in the oven. Perfectly soft and sweet. Same thing goes for the onion – use whatever onion you like. My favorite onions are sweet or Vidala. 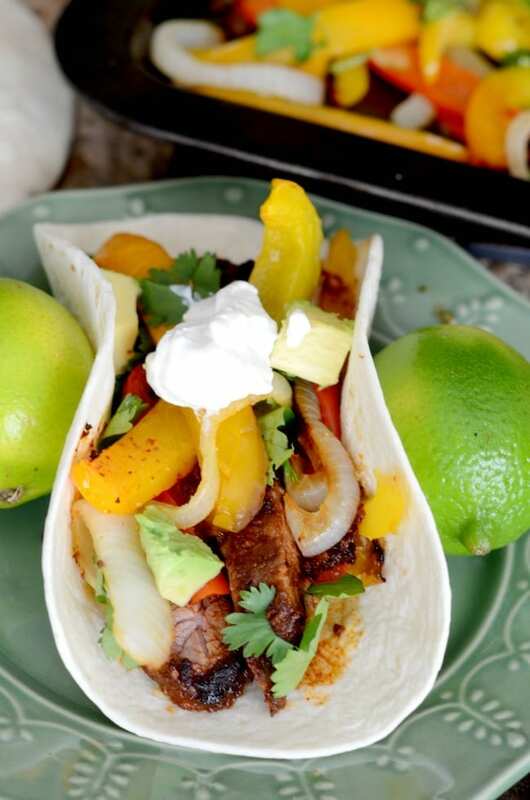 I love that these steak fajitas are almost as easy as a crock pot dinner. You prep everything and then let them roast to perfection in the oven. You can even prep the night before! Yesss. To prep the meat you need to place the fajita meat in a gallon size bag. Add in the fajita seasoning, lime and olive oil and toss to coat. Place in the fridge for at least an hour but it is best if you can let it marinate longer. You can even prep your peppers and onions the night before or right before you are ready to cook. Both work, it just depends on which you prefer. When you are ready to cook, lightly spray a sheet pan with cooking spray or add a bit of olive oil. This will prevent the meat and vegetables from sticking to the pan. Place your marinated steak in the center of the sheet pan and add your vegetables around it. Cook for 30-40 minutes at 400. 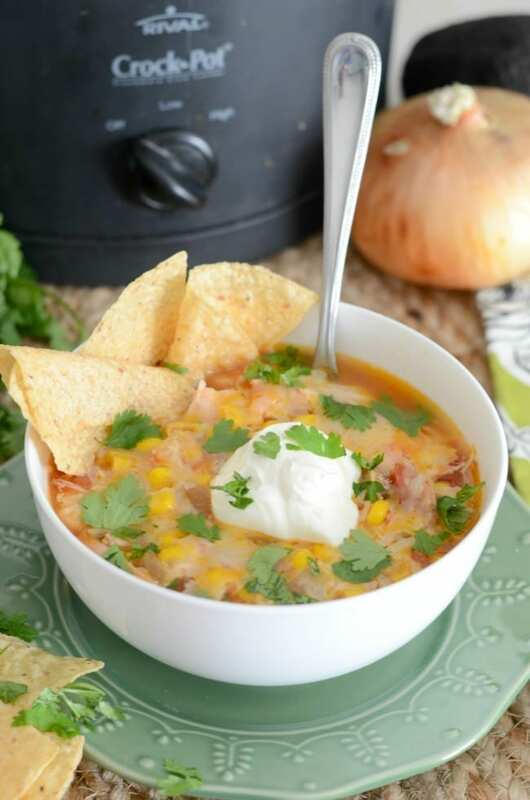 Add in your favorite toppings such as cilantro, avocado, cheese or sour cream and you are all set! Easy fajitas that you can make in the stove! Toss the steak in a large ziplock baggy. Mix together the fajita seasoning, olive oil and lime juice. Pour into the ziplock baggy and coat well. Place the mixture in the fridge for at least one hour to marinate. Remove from fridge and place steak in the center of the sheet pan. Add your sliced onions and peppers around the steak. Bake, uncovered, for 30-40 minutes or until your veggies are soft and your steak is cooked to your liking. Remove from oven and allow to rest for 10 minutes. Cut steak at a diagonal in 1/2 inch strips and return to your sheet pan. Top with cilantro and fresh lime. Nutrition is based on the meat, marinade and the vegetables.